That time of year has arrived when hordes of college kids descend upon the Florida beaches in search of a paradise escape far from textbooks, exams, and professors. Spring Break has arrived! 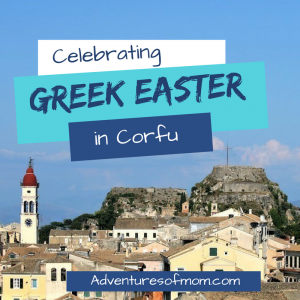 But what if you have kids and are looking for your own family escape- far from the party atmosphere? We’ve got you covered! 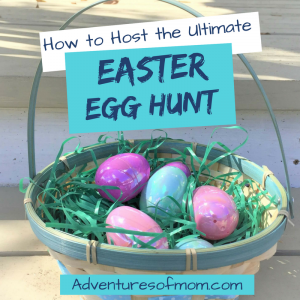 I’m always in search of places to explore, new adventures and basically anything that will distract kids from their electronics and entice them to interact in the real world. If you are young, in college and looking for the party atmosphere (hey, I was young once and I did as well!) 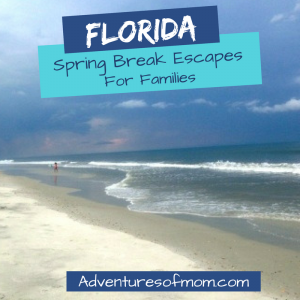 Daytona Beach, Fort Lauderdale, Panama City Beach, Fort Meyers & Key West (Higgins Beach). Go for it! Make smart choices! And you can stop reading. 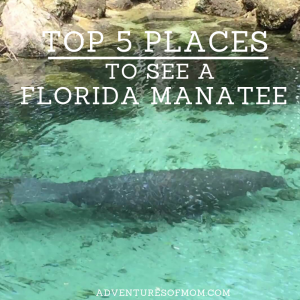 For families, however, here are some cool coastal places to enjoy this beautiful Florida weather that won’t break the piggy bank. 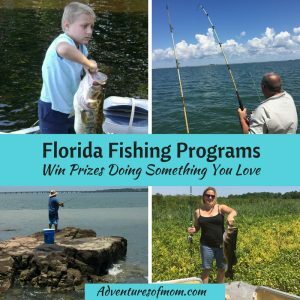 Pack a picnic lunch, a fishing pole & even a tent and introduce your kids to the wilder side of coastal Florida. Yes, okay, I LOVE islands! And Amelia is no exception. My husband told me this place was prime shark-tooth capital of the world. Not sure if I totally believe that – I found one tooth when we were there! Let the kids roam through the tunnels and barracks at this Civil War fort. Last time we were here, I took loads of photos and found out later that I forget my SD card! Will use my phone next time! There are several beach access points here- on either side of the fort for St. Mary’s Inlet, and by the Atlantic jetty. Bring sunscreen and go later in the day and early in the mornings. There are other public beaches in town, which are great too, but Fort Clinch seems to be the cleanest- and if you are lucky, you may even see the wild horses of Georgia’s Cumberland Island across St. Mary’s Inlet! If you are staying in a hotel at this end of the island, chances are this is the place you’ll be catching the sunrise. Hunt for seashells, sharks teeth or just build sand castles. You can drive on this beach, but we got our car stuck in the soft sand here. I prefer no-car beaches due to the kid-safety factor. There is a parking lot by the old mini-golf place and toilets! It’s hard to drag kids off the beach, but when they are starting to turn red, a parent has to do what they have to do- directly opposite the beautiful beaches is historic downtown, loaded with art galleries, kitschy shops and the more kid friendly- ice cream parlors and pirates! Grab a scoop of Superman (seriously it tastes like Fruit Loops- but the kids love it!) and wander along the street- to find the pirates. Great for selfie moments, these statues thoughtfully placed along the street. At the end of Centre Street is the marina, where you can hop a ferry to Georgia! There is everything from 5-star resorts with their own golf courses to cozy B&B rooms, AirBnB rentals to camping. Marriot Suites: Spacious suites- perfect for families with older kids who need their space. Good breakfast. Fire pit outside and swimming pool. It’s a walk up Sadler Road to Main Beach. Comfort Inn: Situated right at the Fort Clinch State Park main gate, this hotel is a short walk way from a skate park and Main Beach. Hot breakfast. Swimming pool. 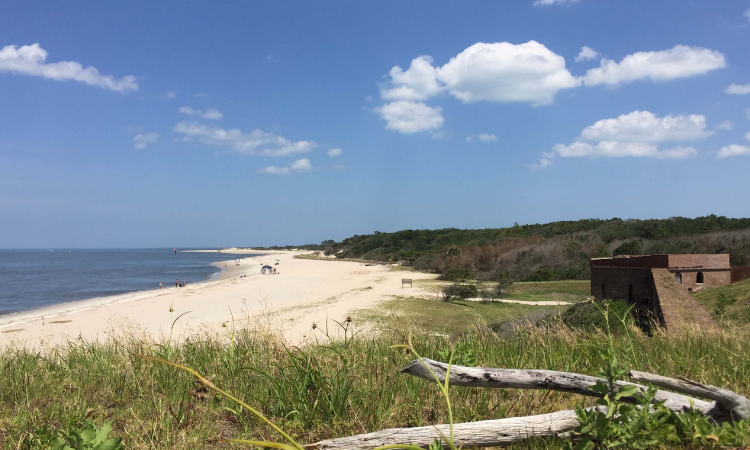 Big Talbot Island State Park comprises of 7 different parks, from sandy beaches to salt marshes. Hike, kayaking, swimming, fishing and exploring. We took the Blackrock Trail to explore the cool tidal pools and followed the beach north and found Boneyard Beach- sun and salt bleached trees that kept us busy climbing through and on. There was even a shell of a mine 🙂 The things you find on the beach. 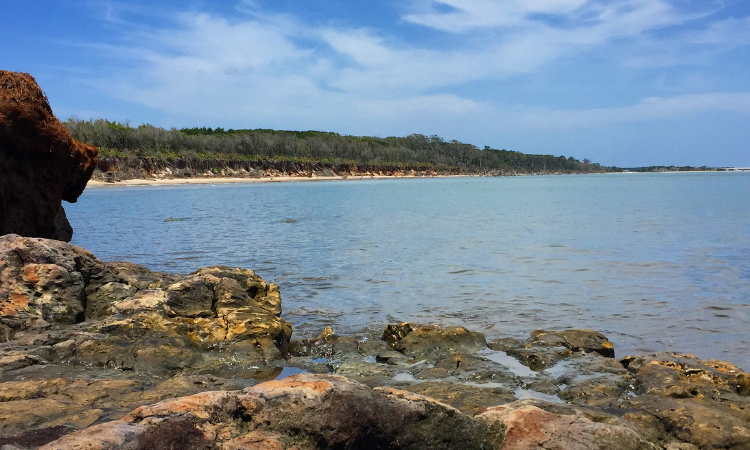 Though there is no camping at this park, you can head a little south to the nearby Little Talbot Island State Park. Beach, fishing, and sun. No shade on beach, so pack the sunscreen! If you are willing to face the crowds, Jacksonville Zoo & Gardens is a great place. A cute little train goes around the park. Splash area for kids when it gets too hot (bring a change of clothes). Tigers, Giraffes, even penguins! We loved the cool Range of the Jaguar cave. The anteater was pretty funky too! Good for younger kids. Stringray touch & feeding tank. Feed giraffes and also lorikeets. + add on fees for train ride, carousel, etc. You can purchase an all-inclusive ticket, $28.95 for adults; $21.95 for kids 3-12 for all the add-ons. It’s no secret that this 450+ year-old city in America is one of our family favorites. We’ve been coming here for years. Fees: $15 adults 16 years and older – ticket good for 7 consecutive days. Kids 15 and younger free but must be accompanied by an adult. Explore the barracks and gun powder rooms (our favorite is the spooky room in the far northeast corner), fantastic views of the bay and old St. Augustine from the roof. If the (paid) parking area at the fort is full, head across the road to the city parking garage to find parking. One of my most favorite beaches, you can hike around to the point for a view of Matanzas Bay and historic St. Augustine. The crowds usually prefer the nearby (free) public beaches of St. Augustine Beach and the St. John’s County Fishing Pier (350 A1A Beach Blvd, St. Augustine, FL 32080), so Anastasia State Park tends to be quieter. Both provide toilet facilities and outdoor showers to wash off the sand. Vilano Beach is a good public beach too. Cross over the bridge on the north side of St. Augustine to reach this public beach. Outdoor showers & toilet facilities. 2725 Anahma Drive, St. Augustine, FL. Heading South? A1A is a beautiful beach drive. Hiking & history. Take a short hike through the hammock and a free boat ride from the visitor’s center over to Fort Matanzas. Need a swim, there’s a beach located just north of the Fort. The Atalntic side is great for fishing, but the Matanzas River side is a family-day out. At low tide an island appears in the river and familes set up beach chairs there, splash in the water and hang out. The current can get strong, so watch the kiddos! Fees: $6 per vehicle (up to 8 persons) Honor system box. Trails through the main park with flower gardens, wetlands, and one massive oak tree. On the beach side of this state park, you can clamber over huge coquina rock formations by the sea- bring shoes- these rocks can tear up delicate feet! You don’t have to be a nerd to hit the Space Coast. Not only known for NASA and SPACEX rocket launches at Kennedy Space Center, this coast has gorgeous long sandy beaches, nature trails, fantastic fresh seafood and fishing opportunities. This park encompasses the entire tip of the New Smyrna Beach Peninsula. Explore the 1.5 dune boardwalk. Fishing, swimming, shark-tooth hunting. Facilities to changes out of those wet bathing suits too! If you balk at the $10 fee, there are free public beaches further south. Just follow the beach road. Restrooms are icky though- I guess it’s a you-get-what-you-pay-for deal! My daughter and I accidentally found this beach. The boys went off on a charter fishing trip and I was actually looking for the Dunes Park and got turned around- apparently, if you are at New Smyrna Beach, either end of the island gets you to a fabulous beach! Beautiful beaches here- but bring your own food & drinks! Hop over the causeway bridge in Titusville into wild Florida at Merritt Island National Refuge. Located: The refuge begins on the east side of Max Brewer Causeway Bridge in Titusville, FL. (Seriously, they don’t have a physical address- I asked!) The visitor center is actually 4 miles into the park. Locals love this place. You can chuck your pole out anywhere and fish. Nature trails- bring the bug spray, this area is mosquito central once you leave that Florida sun for the deep woods trekking. Of course, you can always take the wildlife viewing from the comfort of your own car from the 7 mile Black Point Wildlife Drive (one-way traffic). Drive slow! The boys fished at the causeway while us girls headed into the wild. The visitor center is a great stop especially for kids- boardwalk nature trail over wetlands, neat nature displays inside. And the only toilets for miles! Always carry your pole! 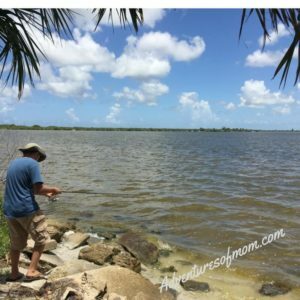 Impromptu fishing at Merritt Island National Refuge, one of Florida’s Spring Break Escapes for Families. 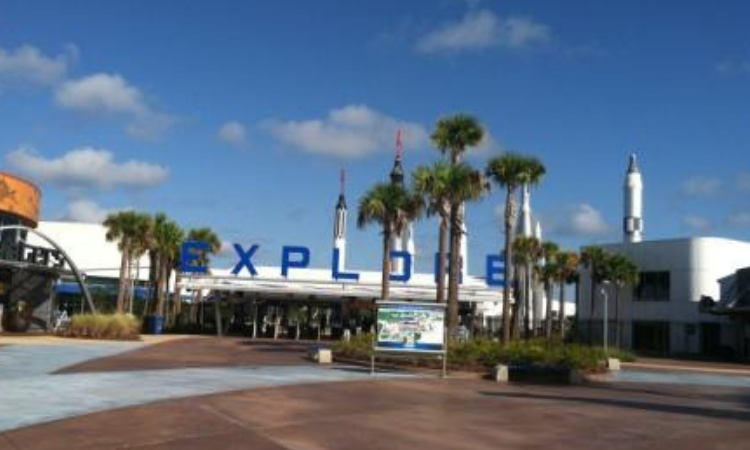 Okay, you can’t miss the space coast without checking out the rockets, and luckily, the former government complex received a vital re-imagining, making Kennedy Space Center fun-for-families of all ages! Take a rocket shuttle launch simulation. Witness the thrill of the Apollo 8 launch. Explore your Mars options for the future and more. And Exploring Mars. If you are lucky, you might even see a launch! We saw a successful SPACEX rocket launch last time we were there! Pack sunscreen! And use it. Ditto for bug spray if you are heading off-beach. We’ve had a balmy winter, and are ripe for the onslaught of mosquitoes. 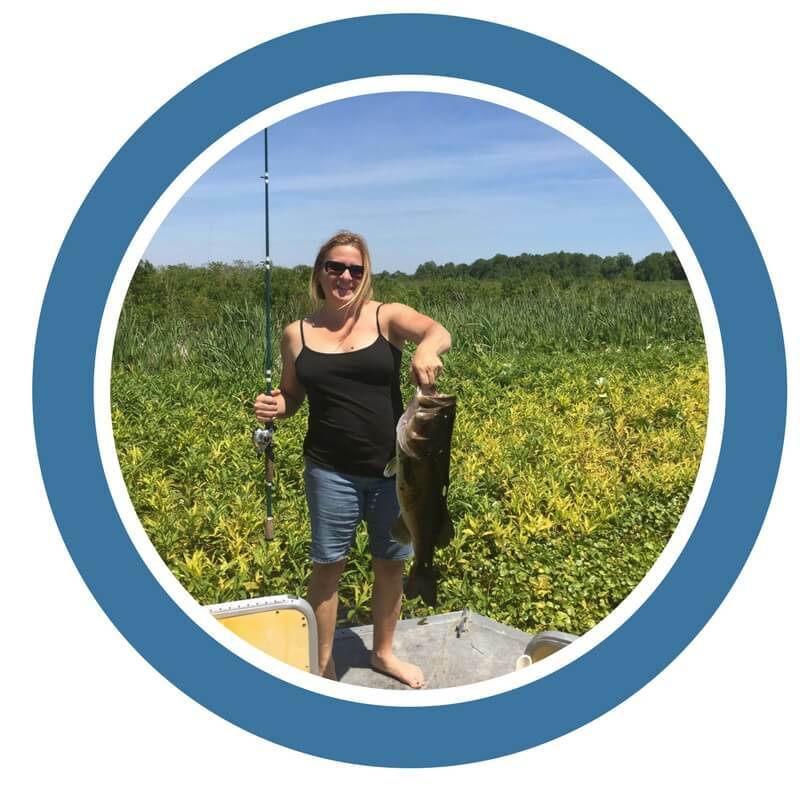 Get a fishing license. Before you throw that pole, make sure you have an up-to-date Florida fishing license. I have to renew my own soon, and it only takes a quick trip to the local Walmart! Then you can carry your pole anywhere- really, fishing in Florida is that easy! Check out deals on hotel rooms. We use Groupon, Priceline & Booking.com (no affiliate touting here). Camping at the State Parks throughout Florida must be made through Reserve America. Yeah, bummer, we know, but you can use the maps to view the campsites for the best pick- you know, the one NOT right next to the toilet! 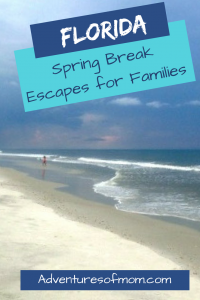 Spring Break and kids can get expensive. Consider a trip to the local supermarket and packing a picnic lunch. We do bread rolls, luncheon meat & cheese & don’t forget the mustard & mayo! A bag of chips or grapes never goes amiss either! 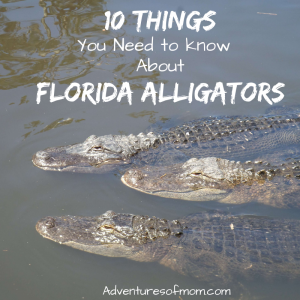 Exploring Florida’ coastal regions makes for an affordable family adventure. Introduce your kids to the natural abundance of resources, rich culture & wildlife that this state has to offer. 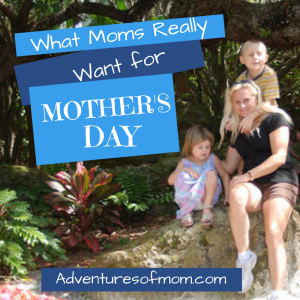 Thank you so much for all the fun adventures ideas to do with the family. Any suggestions on lakeview beach ,Fl area? Hi Andrea! Not sure where Lakeview Beach is located. Did you mean Delray Beach? Thanks!